The Sons Of Liberty - If They Can Get You Asking the Wrong Questions, They Do Not Have to Give You The Right Answers! 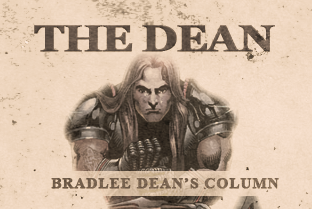 Home - The Dean-If They Can Get You Asking the Wrong Questions, They Do Not Have to Give You The Right Answers! During the state's Proposition 8 battle, 7 million Californians voted against homosexual marriage (the majority were black voters.) Not once but twice was their voice heard. Yet, the corrupt judicial system got involved and stripped it from the hands of the people, placing it in the courts – right where they wanted it. That way they could control the "debate," and the state-run media were right there to help them along. Another example dates back to May 1, 2004, in Seattle, Wash. Approximately 25,000 people protested homosexual marriage at the Mayday for Marriage rally. Approximately 1,500 radical homosexual sympathizers showed up to protest the rally, holding up signs stating, "Bigots go home!" The state-run media twisted the truth and told the public that the 1,500 homosexual supporters holding up signs stating, "Bigots go home!" were the majority and made the 25,000 protesters out to be the minority, totally turning the event to be against the "bigots" instead of homosexual marriage. The Hegelian Dialectic is the tool that the corrupt in government use in an attempt to manipulate the minds of the people to accept their "change" when they normally would reject it. The Hegelian Dialectic is the process in which the usurping elitists create a crisis, knowing in advance how the population will react to that created crisis, thus conditioning the people that a change is needed. Once that is achieved, they will then bring the "answer" to the crisis. They attempt to control both sides of the debate over how and why the "change" is needed, thus diverting anyone from asking the right questions, in order to avoid bringing the right answer. With the help of the state-run media, this process is repeated over and over again to make it seem as though society is accepting of their "change." Rather than citing the Bible, the Constitution or the laws of our republic, they continue their manipulative debate until a perceived compromise is reached. The outcome of the "debate" – which purposely addressed the "concerns of the public" with the mandate to do something – is enacted as public policy (never law), and their radical agenda moves forward. As William Blackstone stated, "No enactment of man can be considered law unless it conforms to the law of God." After 57 million babies have been aborted, the American people are finally beginning to awaken to the fact that the Hegelian Dialectic has deceived them. If they would have shown their true intent by running on a slogan such as, "Support the murder of innocent children. Vote yes today!" the populace would have been appalled and those who would have the audacity to advocate such a crime would have been thrown in jail. Homosexual Manifesto – Satire or Reality?